1Put first 4 ingredients in a large sauce pan and cook under low heat until cranberry skins split. 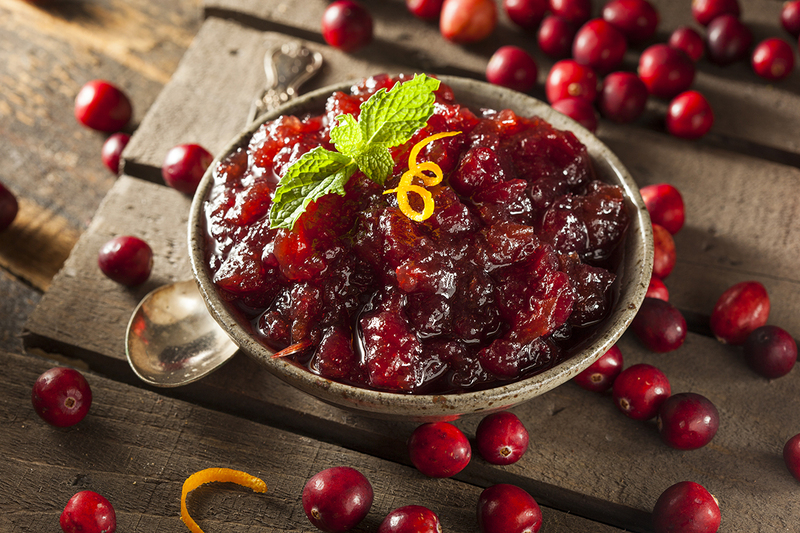 If you like the sauce thicker, use a potato ricer or slotted spoon to mash some of the cranberries until you reach the desired consistency. 2Remove from heat and add walnuts and grapes. Serve at room temperature. Who would've thought to use a cocktail mixer in a star dish at your Thanksgiving table? Keep It Simple Syrup has far more uses than a winning ingredient in simple-to-make, high end cocktails. This sauce works well as an alternative to mayonnaise on sandwiches too. Enjoy it year-round!